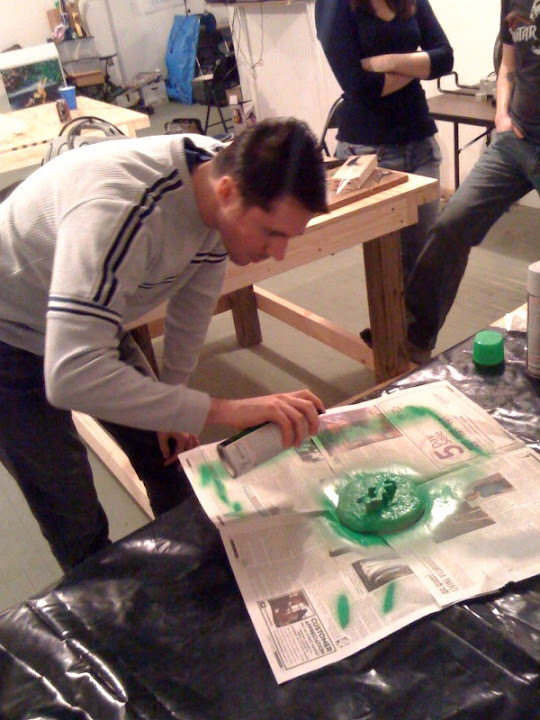 What happened at the awesome open house last night? (Hack)(Make)(Craft)-ing happened. 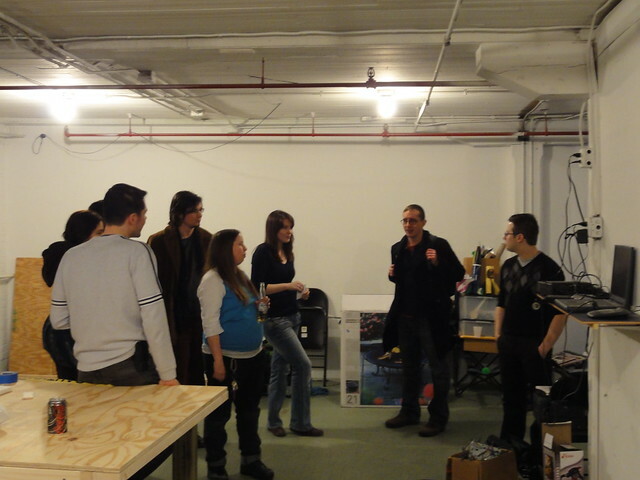 Also, lots of folks stopped by to see what this Hackerspace thing is all about. Those solid citizens brave enough to face the weather found a crock pot full of chili and a space full of fun for their efforts. We had a couple early visitors to the space who mentioned the write-up in DDN's Life section (thanks Stephanie). Local blogger and activist David Esrati stopped in for a bit to lend some support (thanks for the kind mentions on the blog). Lots of traffic steadily throughout the day, a lull around dinner time, and then wammo! The place got hopping, we started melting metal and the crowd was buzzing and hacking (sorry to the early visitors who suffered through my failed initial tinkering, we finally managed to melt down the mini-keg you emptied, thanks!). A large portion of the visitors were interested in micro-controllers and circuit bending, so Jason's robotic musical masterpiece, and Joe's Arduino project were definitely crowd-pleasers. "Oh, cool you've got an Arduino," I think those folks will be back. 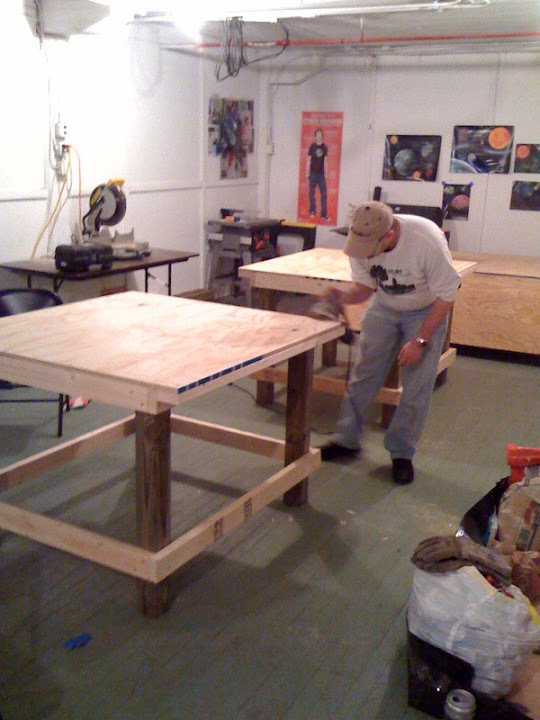 J. put together two very solid, and very useful workbenches that are a huge boost to our hackerspace infrastructure (round of applause for J.: ahhhhhh, crowd goes wild!). Our two newest members Scott and Kelley actually got some significant work done on their two projects during the open house using the new work benches. 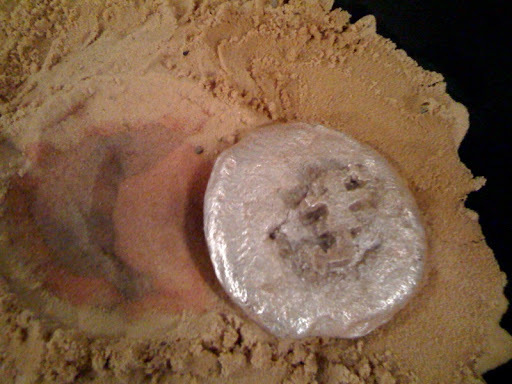 Our resident spray artist prettied up our lost-foam casting (good idea Joe) of a Dayton Diode. Pouring Molten Aluminum at Diode from Joe McKibben on Vimeo. We also played a bit with the arc torch. 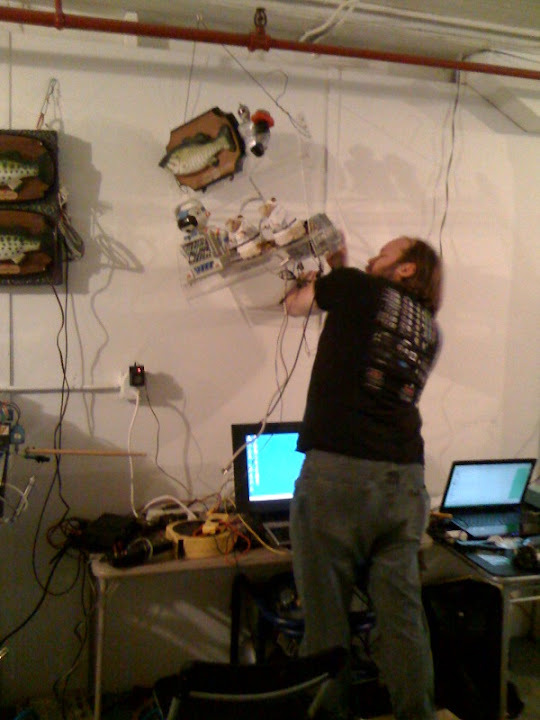 Great to see another Hacker Space up and running in SW Ohio. 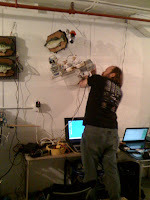 We visited the Hive13 space in Cincinnati last year and look forward to finding out more about your interests too.